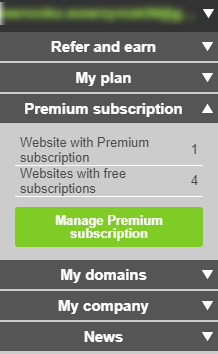 A website, on which you activated your Premium Plan, can be displayed under a domain of your choice. Premium Plan is not permanently linked to one website and it can be easily transferred to other websites created in WebWave. When you, for example, build a new version of an already existing website, you can link to it a previously activated Premium Plan. If for some reason, you decide to delete a website created in WebWave with an active Premium Plan, it won't go to waste. You can link this Premium Plan to another website. 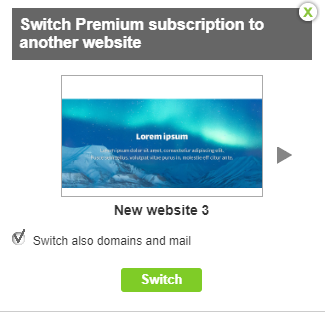 Go to Webmstaser's panel and on the right side of the website select "Premium subscription" and "Manage Premium subscription". In the new window select "Change" next to a website with an active Premium Plan, that you'd like to transfer. Select a new website, on which you'd like to transfer the Premium Plan.